If you would like to purchase the book "Soul of Japanes Cuisinee of Japanese Cuisine" published by the foundation, please contact us by e-mail or fax. 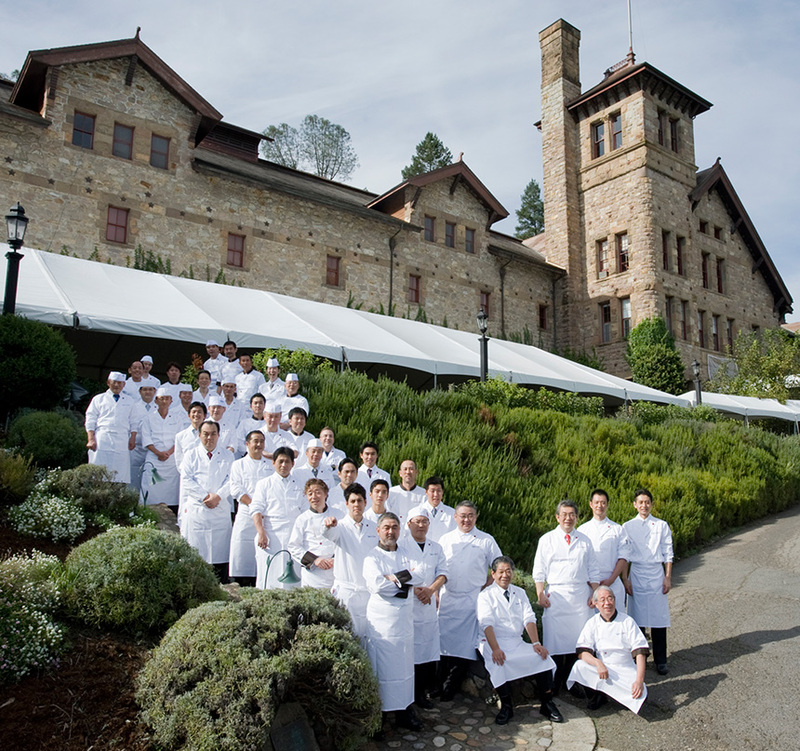 To showcase Japan’s food to the world as the Team of Japan, a group of 39 distinguished chefs from a variety of culinary backgrounds and genres traveled to California Campus of The Culinary Institute of America (CIA) located in beautiful Napa Valley. The group traveled there in order to participate in the Worlds of Flavor (WOF) Conference that was held in November of 2010. During the subsequent three-day program that attracted numerous top chefs from both within the United States and from around the world, the Team of Japan’s presentations were highly regarded, and it could be said that their efforts further enhanced the worldwide reputation of both Japan’s culinary traditions and the chefs who created and continued them. Additionally, the occasion also gave the participating chefs an opportunity to further develop relationships with one another that exceeded the boundaries of individual culinary genres. A few months after the event, the Great East Japan Earthquake struck with all its fury in March of 2011. Confronted by the unprecedented scale of the disaster, chefs who had participated just a few months previously in the WOF in Napa Valley, arose a choir of voices and showed the desire to “do something.” Those voices reached the ears of Mr. Hiroo Chikaraishi, the Japanese Ambassador to CIA who, had worked tirelessly to assemble the Team of Japan to California. Subsequently, in order to act as a body that was capable of both receiving and acting upon all the kind intentions that had been expressed, the Soul of Japan Foundation was established in April 2011. Following on from its founding, on an ongoing basis for approximately three years, the foundation undertook activities within Japan including the preparation of meals in support of people who resided in areas of the country impacted by the Great East Japan Earthquake and its aftermath. 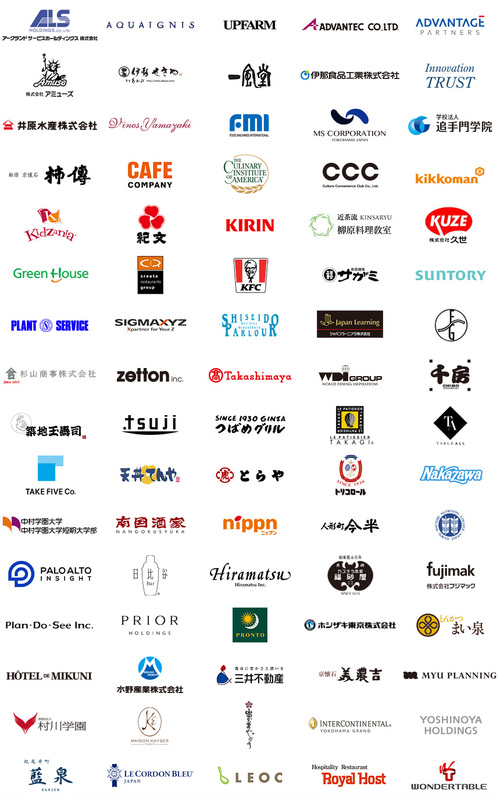 Since such responsibilities for those activities shifted to a recognized non-profit organization, the Soul of Japan itself evolved to become an advocate “to help realize a platform for Japanese food.” Having done so, to this day, the foundation works to support both numerous Japanese chefs and their activities within Japan and abroad. along with a number of food industry-related companies.